Is a film watched on a video screen still cinema? Have digital compositing, motion capture, and other advanced technologies remade or obliterated the craft? Rooted in their hypothesis of the "double birth of media," Andre Gaudreault and Philippe Marion take a positive look at cinema's ongoing digital revolution and reaffirm its central place in a rapidly expanding media landscape. 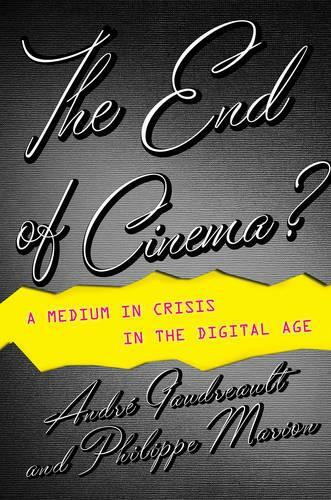 The authors begin with an overview of the extreme positions held by opposing camps in the debate over cinema: the "digitalphobes" who lament the implosion of cinema and the "digitalphiles" who celebrate its new, vital incarnation. Throughout, they remind readers that cinema has never been a static medium but a series of processes and transformations powering a dynamic art. From their perspective, the digital revolution is the eighth major crisis in the history of motion pictures, with more disruptions to come. Brokering a peace among all sides, Gaudreault and Marion emphasize the cultural practice of cinema over rigid claims on its identity, moving toward a common conception of cinema to better understand where it is headed next.